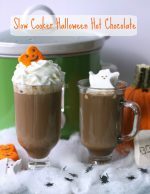 Now that the weather is getting cold, it’s the perfect time for hot chocolate! 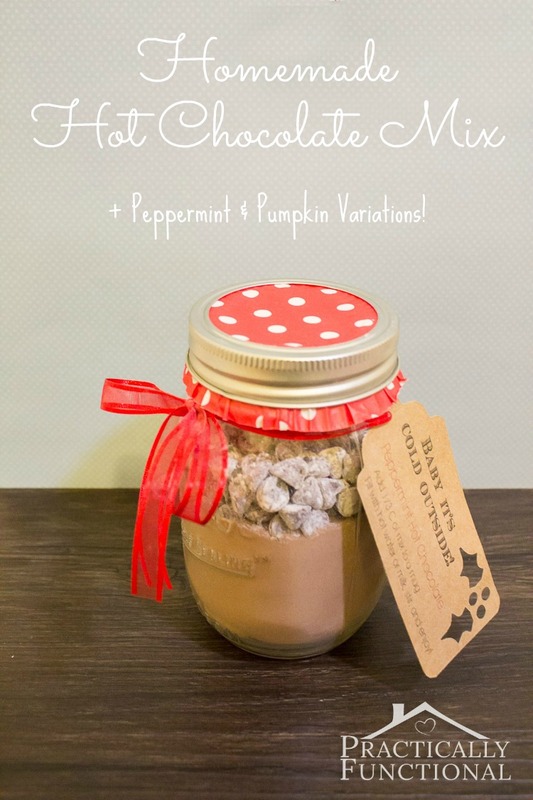 And did you know, you can make your own homemade hot chocolate mix?! 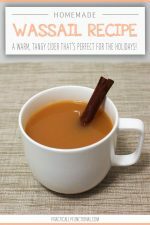 It’s less expensive than buying store-bought hot chocolate mix, and it’s easy to make fun flavors like peppermint hot chocolate and pumpkin spice hot chocolate. 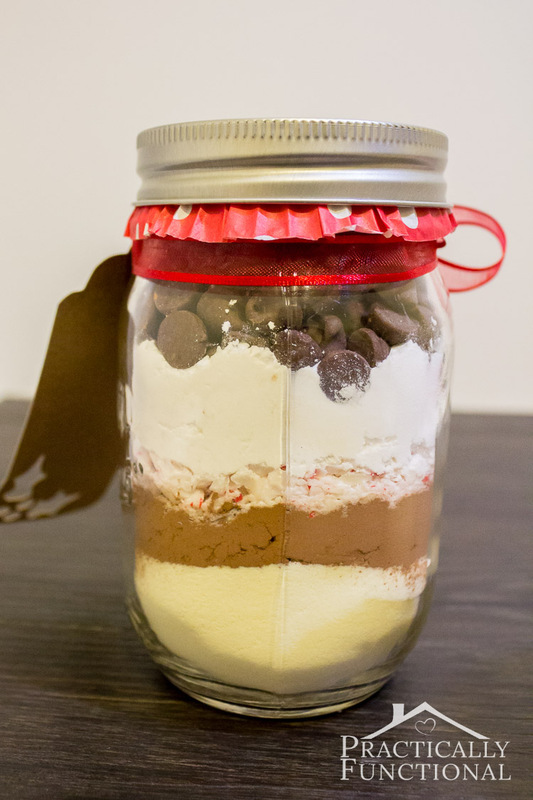 Plus, if you package it in a jar, it makes a great neighbor gift! This chocolate mix is super creamy and delicious, and it’s super easy to make! Note: The recipe below makes enough mix for 4-5 mugs of hot chocolate, and the mix fits perfectly into a 16 oz mason jar with a little room at the top for marshmallows or chocolate chips! But if you want to make a larger batch, you can do a little bit of math to easily double or triple the recipe! Just remember there are 16 tablespoons in a cup. 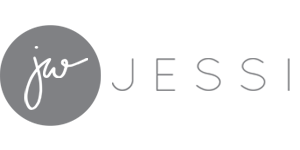 Mix all the dried ingredients together and store them in an airtight container! 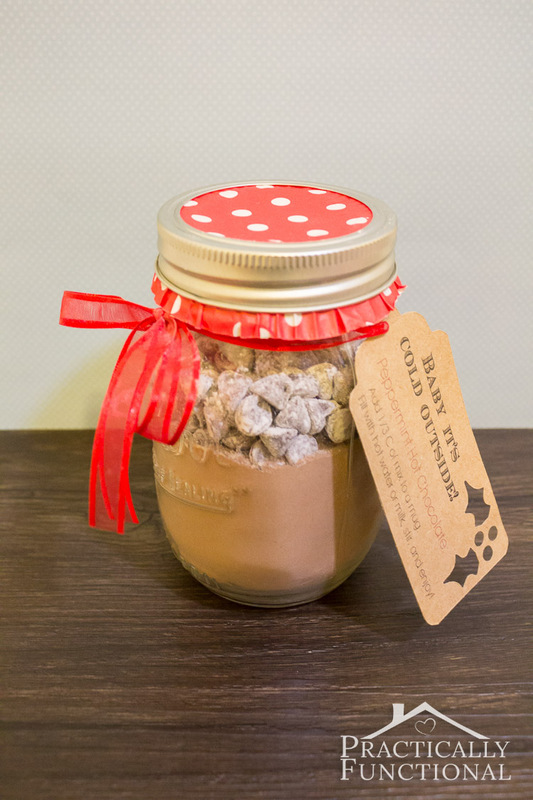 If you have room at the top of your jar, add a few marshmallows or chocolate chips! When you’re ready to turn the mix into hot chocolate, spoon 4-5 tablespoons of the mix into a mug and fill with hot water or hot milk. Stir until the mix is completely dissolved, add a few marshmallows or chocolate chips on top for garnish, and enjoy! Or layer each ingredient into the jar separately for a fun variation! 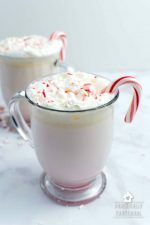 If you want to make a peppermint version, just add some crushed candy canes or starlight mints! I suggest 8-10 starlight mints in addition to the other ingredients in the recipe above, or 3 candy canes (8-10 if you use miniature candy canes). If you crush them finely, you can mix them in with the dry ingredients, or you can leave them chunkier and put them on top of the mix to add some color to your mason jar. For a fun extra touch, roll some chocolate chips in powdered sugar and add them on top of the hot chocolate mix! 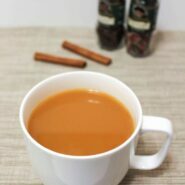 For a fall flavored hot chocolate mix, add some pumpkin pie spice to the mix! Add 3/4 t of pumpkin pie spice to the other ingredients in the basic hot chocolate mix recipe above. Or if you don’t have pumpkin pie spice, add 1/4 t each of cinnamon, nutmeg, and ground ginger. 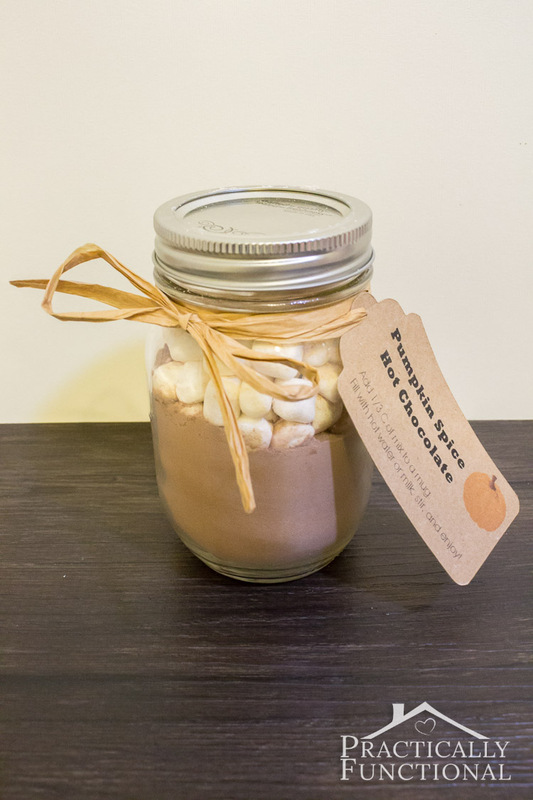 Shake a bit of cinnamon onto a handful of mini marshmallows and add them to the top of the jar for extra fall flavor! 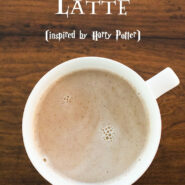 What’s your favorite hot chocolate recipe? 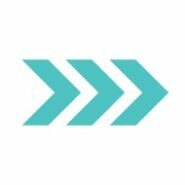 If you liked this recipe, check out these other delicious drink recipes! This chocolate mix is super creamy and delicious, and it's super easy to make! When you're ready to turn the mix into hot chocolate, spoon 4-5 tablespoons of the mix into a mug and fill with hot water or hot milk. Stir until the mix is completely dissolved, add a few marshmallows or chocolate chips on top for garnish, and enjoy! 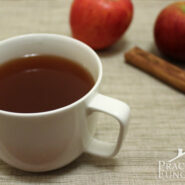 For a fall flavored hot chocolate mix, add some pumpkin pie spice to the mix! Add 3/4 t of pumpkin pie spice to the other ingredients in the basic hot chocolate mix recipe above. Or if you don't have pumpkin pie spice, add 1/4 t each of cinnamon, nutmeg, and ground ginger. 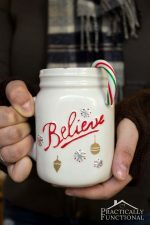 This recipe makes enough mix for 4-5 mugs of hot chocolate, and the mix fits perfectly into a 16 oz mason jar with a little room at the top for marshmallows or chocolate chips! But if you want to make a larger batch, you can do a little bit of math to easily double or triple the recipe! Just remember there are 16 tablespoons in a cup.